Completed alongside Kamp Grizzly and Open Studio Collective. 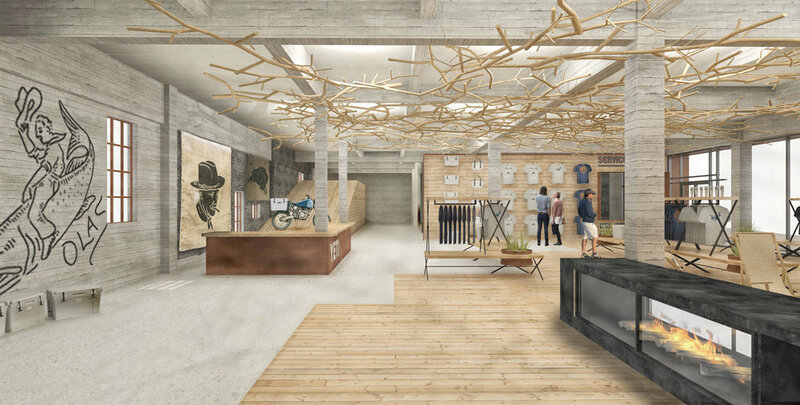 The Yeti flagship store proposal took second place to Lake Flato Architecture. 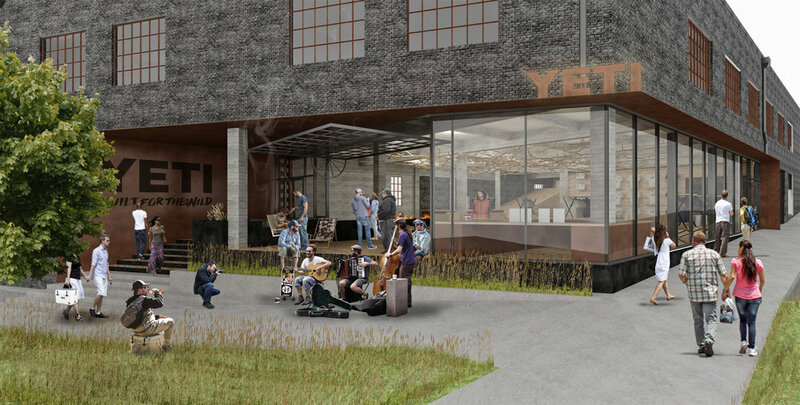 Our proposal sought to capitalize on the outdoor oreiented brand's rugged marketing by using industrial materials and heavy patina patterns. Offsetting that rugged aesthetic are contemporary furniture, overhangs and angles. A view of the whole program. The exterior opens up and spills on to the sidewalk, inviting people to enjoy and participate in the space as a gathering place. The interior elicits the feeling of being under dappled light while walking through a forest.